School themes can be used to help motivate young students throughout the year. They also can be used to create some fun in the classroom. You can find “bunches” of ideas and “tons” of suggestions that can be integrated with your curriculum for added learning reinforcement. The “bunches” may be a balloon theme that flies high. Or it could be elephants carrying “tons” of information. School age activities can be applied in such a manner that they are useful for every classroom activity in your school. There are a lot of benefits to using themes and they can also contribute to great Parenting Advice and Family Fun. These kinds of benefits and goal setting activities help make learning more interesting for children. School themes can help mold young minds to encourage interest in school education and in learning as much as possible about new subjects. School themes benefit more than just students. They also can make a teacher’s job a little easier too. A teacher's instruction role covers a lot more ground than just basic subject matter. They're enrtrusted with great responsibility in ideas such as motivation, self-esteem, pride, judgement, goal setting, social interaction, family, manners and many other important developmental skills. One of the most important goals is to teach children social skills. It's never just reading and writing. Young kids are naturally communicative in the school environment, but we know it's never too early to introduce good behavior and responsbile interaction. School theme titles and purpose deserve some attention because in most schools they last a whole year. 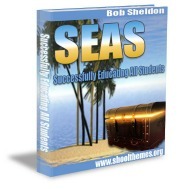 Some benefit can be gained by constructing your theme to address the school's or teacher's major goals for the year. It is exciting to watch children begin to reveal their unique personalities and listen to them share their young dreams. School age themes encourage young minds to explore their ideas and natural curiosity. A theme makes a great starting point for discussion when applied to goal-setting activities. Your teachers can watch the excitement grow as young minds make the connections between the theme and the subjects they're trying to learn. Themes are a great way to encourage children to work together while learning valuable social skills. Theme based activities teach cooperation and achievement. Using themes is such a simple idea with momentous possibilities. Pick school themes that fit the classroom and age of children, and watch their eyes light up with joy as they learn about their world. 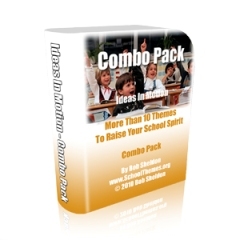 School age themes are the perfect way for a teacher to inspire his or her students in new ways. 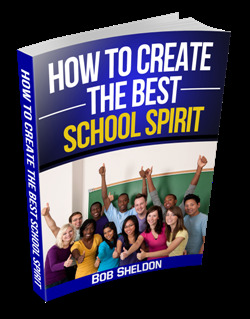 Leave School Age Themes and Get Your School Theme!